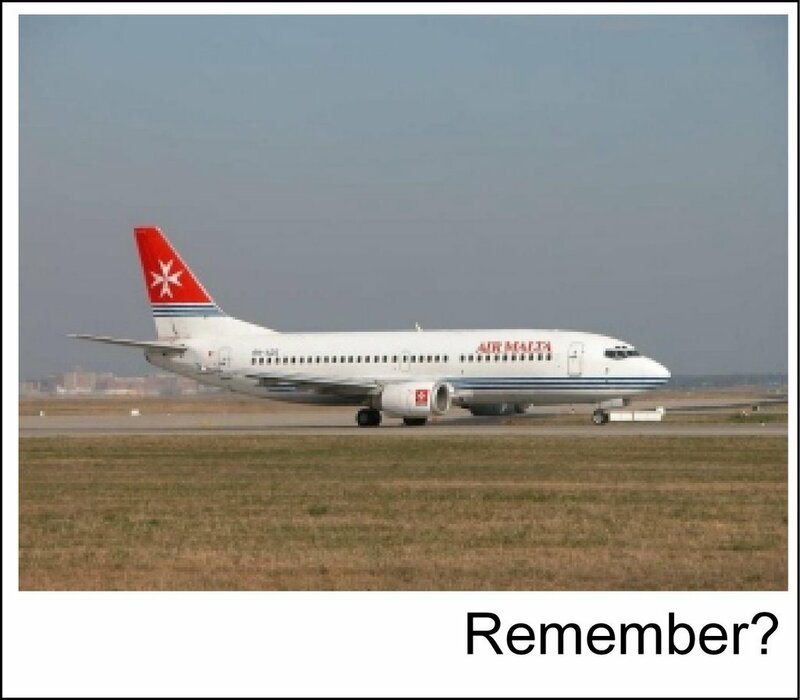 COLOGNE, Germany (CNN) -- The hijack of an Air Malta airliner ended peacefully on Monday when two men demanding freedom for the man who shot Pope John Paul II in 1981 gave themselves up at the airport in Cologne, Germany. The Boeing 737, originally bound for Istanbul, Turkey, had 90 people aboard. None of the hostages was harmed, police said. The hijackers had said they had a bomb and demanded the release of Turkish gunman Mehmet Ali Agca, who is serving a life sentence in Italy after trying to assassinate Pope John Paul II in 1981. Three hours after landing, the men left the plane with their hands in the air, police spokesman Werner Schmidt said. He said police found no explosives on the aircraft. The airliner had landed at the busy Cologne-Bonn airport 15 km (10 miles) south of the city of Cologne. Schmidt was unable to say why they had diverted the plane to Germany some 20 minutes after leaving Malta, or whether they had in fact been armed. German police quickly established contact with one of the men through a Turkish-speaking interpreter, and the hostage taking ended about three hours later. "They gave themselves up after successful negotiations. All the hostages have been released and were unharmed and in good health," Schmidt told reporters at the airport. Schmidt said a total of 90 people had been on the flight, including five crew and the two hijackers. The 83 passengers comprised 17 Turks, 32 Libyans, 32 Maltese, one Russian and one U.S. citizen. They were due to fly to Istanbul later on Monday. The hijackers had let five people leave the plane earlier, one of them a woman with heart problems. Maltese Prime Minister Afred Sant told parliament in Valletta that the men had shown passengers what looked like sticks of dynamite, but it was not clear yet whether they were genuine. Agca, whom the hijackers wanted released, shot the pope in the hand and abdomen as he rode in an open jeep before thousands at his general audience in St. Peter's Square in Rome in 1981. Emergency surgery saved his life. On Saturday, in an emotional address during a visit to his homeland, the Pope had recalled the assassination attempt, which remains shrouded in mystery. At a trial in 1986, Italian prosecutors failed to prove their contention that the Bulgarian secret services had hired Agca on behalf of the Soviet Union in order to snuff out the Pope's support for the Solidarity union in his homeland. At the time, Solidarity, supported by the Roman Catholic Church was threatening the stability of the Soviet bloc. 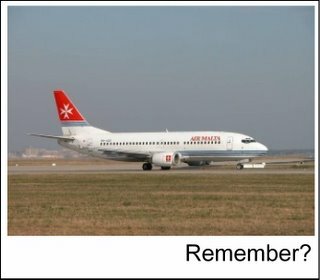 The hijacking was the first involving an Air Malta aircraft and the first of a flight originating in Malta. Sant announced an inquiry into security for the flight, and Malta sent a magistrate to Germany to join investigations.